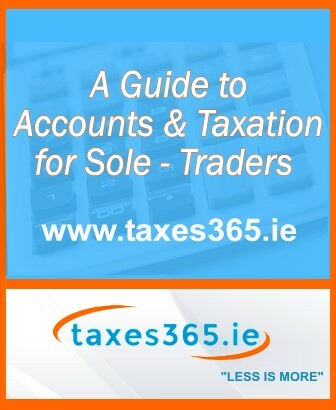 At taxes365.ie we provide all required tax, accountancy and filing services to Limited Companies and assistance with all you compliance requirements. Contact us now for a free initial meeting. A company is an incorporated business, usually with limited liability and with at least one shareholder. It has a separate legal entity to its owners – the shareholders. It is important to realise that a limited company is a separate legal entity from its shareholders. This separate identity carries advantages and disadvantages. What are the advantages of operating as a Limited Company? No Personal Liability – Providing you have not engaged in fraud or have traded recklessly, and providing you have not signed personal guarantees, you will not bear personal liability for the debts of the company in the unfortunate scenario that it fails. Low Tax Rate on excess profits. The current Corporation Tax on trading profits for a limited company in Ireland is 12.5%. It is important to realise that this is only an advantage if you can afford to leave a portion of the profits in the company and do not need to draw all the profits out as a salary. What are the disadvantages of operating as a Limited Company? Higher compliance costs. The cost of set up and ongoing costs for a limited company are higher than for a sole trader. Loss of privacy. Each year the accounts for every limited Company trading in Ireland must be filed with the Companies Registration Office (CRO). These accounts must be accompanied by an Annual Return, which lists the directors and shareholders and also contains financial information about the Company. All documents filed with the CRO are open to public scrutiny. Our expert accountancy services are competitively priced so contact us to arrange a free initial meeting. Limited companies must prepare an annual return to be filed and submitted every year, together with abridged accounts to the Registrar of Companies. Failure to do so will result in substantial penalty fees and possible strike-off proceedings, as well as loss of the audit exemption for 2 years, if applicable. The first Annual Return (no accounts required) is due 6 months after incorporation. To enable credit institutions to assess your suitability for loans, equipment finance & overdrafts etc.